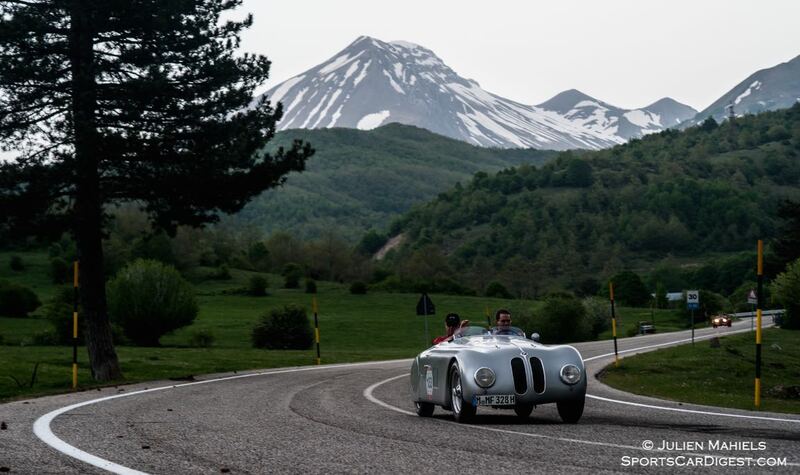 The 2016 Mille Miglia will be held 19-22 May on the secondary roads of Italy, running from Brescia to Rome and then back again. The 34th retrospective edition will see a field of 440 automobiles cover approximately 1,000 miles over the Italian roads. 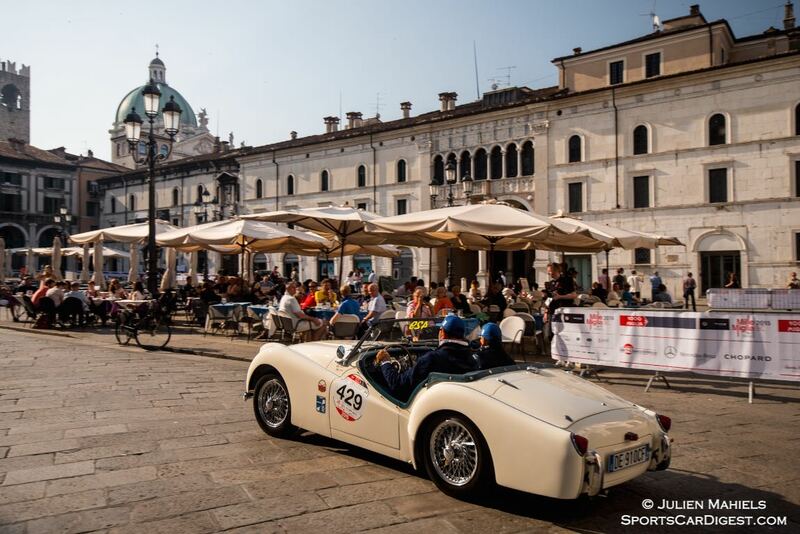 The entry list of 440 starters will featured more than 70 cars returning to Brescia after having raced in at least one edition of the Mille Miglia, from 1927 to 1957. Cars worthy of special mention include the Ferrari 340 with which Gigi Villoresi won the 1951 edition, as well as Alfa Romeo 6C 2300 Pescara that was owned by Benito Mussolini. This Alfa participated in the Mille Miglia in 1936, driven by Ercole Boratto, Il Duce’s driver. Museums sending their vehicles to Brescia include Alfa Romeo, Mercedes-Benz, BMW and Porsche. The manufacturer with the most cars present remains Alfa Romeo with 46 cars (chosen from 61 entered), followed by FIAT with 39 (from 46 entered) and Mercedes-Benz with 33 (from 57). These are followed by Lancia with 25 (42), Ferrari with 22 (23), Porsche with 21 (38), Jaguar with 20 (56) and Bugatti (21) both with 20 cars starting out and Aston Martin with 17 (32). The list of participants is completed by other names for a total of 71 manufacturers out of the 75 entered. Entries were received from 40 countries on all the continents, and 36 teams were accepted from as many countries, with Italy continuing to be the country with the majority, with 258 participants out of 347 entries. Registration requests are increasing from countries such as Germany, with 87 people (out of 161 entries), The Netherlands with 68 (out of 115), United Kingdom with 60 (out of 116), the United States, with 50 (out of 66), Switzerland with 35 (out of 65), Belgium with 30 (out of 58) and Argentina with 17 (out of 24). 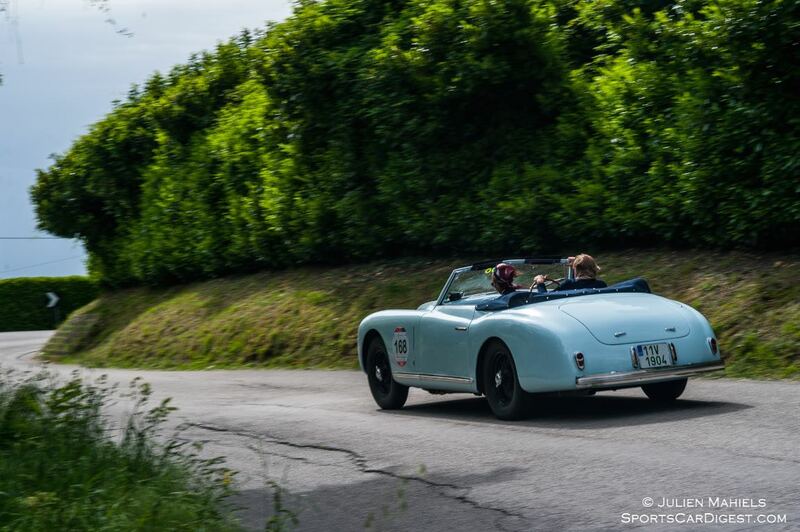 This year’s edition will include the new coefficients that will be applied to the scores obtained by each car in the race, calculated taking into account the era and sporting nature of the over nine hundred models of cars registered for the Mille Miglia, i.e. those that have participated in at least one edition of the race for speed, in the years going from 1927 to 1957. The new coefficients have been completely recalculated with the aim of rewarding the more sporty models, those that have played such a large part in automobile competitions. Another effect of the new coefficients will be to reduce the divide between pre-war models and the sports cars of the post-war years, which, until last year, were virtually excluded from a place on the podium. Lastly, with the aim of promoting those models of cars that were the protagonists of the Mille Miglia from 1927 to 1957, two bonus points were introduced: the first is the same one adopted until two years ago, attributed to those models (chassis number) that have a certified participation in at least one edition. The only difference is the value of 5%, versus the 10% of the recent past. The second bonus, always of 5%, will be assigned to all those models of cars that, in the twenty-four editions of the speed race won their class or category. This change in the coefficients adopted until last year, and which came into effect in 2008, aims at rewarding the vintage cars with a more significant past, further increasing the historical and sporting value of a collection of cars that has no equal. The first stage will leave in the early afternoon of Thursday 19 May, after passing through the Sigurtà di Valeggio sul Mincio Garden Park, Ravenna and Ferrara, it will end in Rimini. 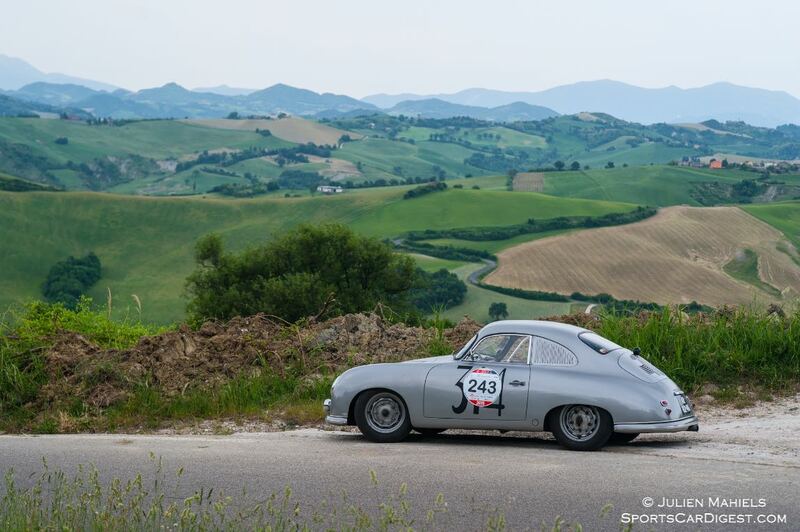 The second stage, on Friday 20 May, will have a stopover in Macerata for lunch and in Fermo for events reserved for the modern Ferrari and Mercedes-Benz. As is traditional, the evening of the second stage, a Friday, will see participants arrive in Rome. As the Jubilee will be running concurrently, some changes will be made to the customary nighttime drive in the city centre. On Saturday 16, the route will leave the capital and will be unchanged up to Tuscany, with a break in Poggibonsi. 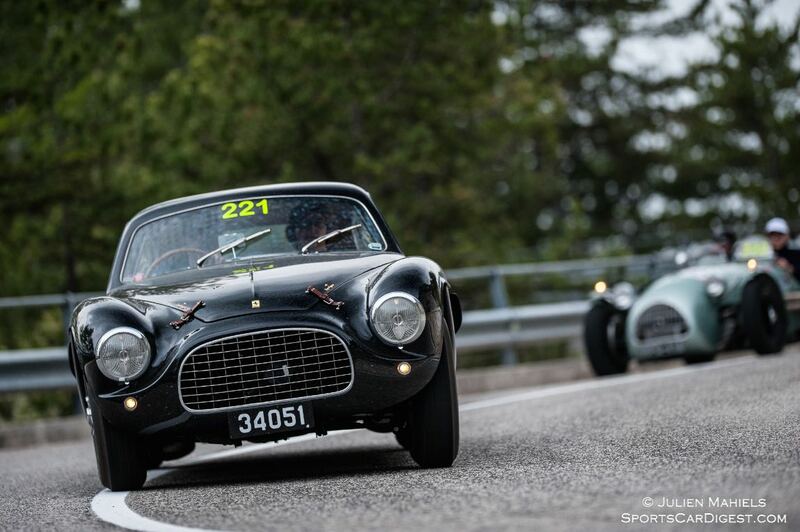 Following checks in Piazzale Michelangelo in Florence, and to fulfill the request of the many supporters who have always loved to see the cars perform on the bends, waving and cheering them on, Mille Miglia 2016 will once again tackle the Futa and Raticosa Passes, where epic undertakings were performed by the masters of the steering wheel. The third stage will again end in Parma, which last year gave the participants a particularly warm welcome. From here, the next morning, the participants will return to Brescia, arriving once again at lunch time, as was the schedule last year, seen by organisers as very successful in the last two years. Travelling from Parma, the long convoy of the Freccia Rossa (Red Arrow) will cross Cremona, continuing northwards. 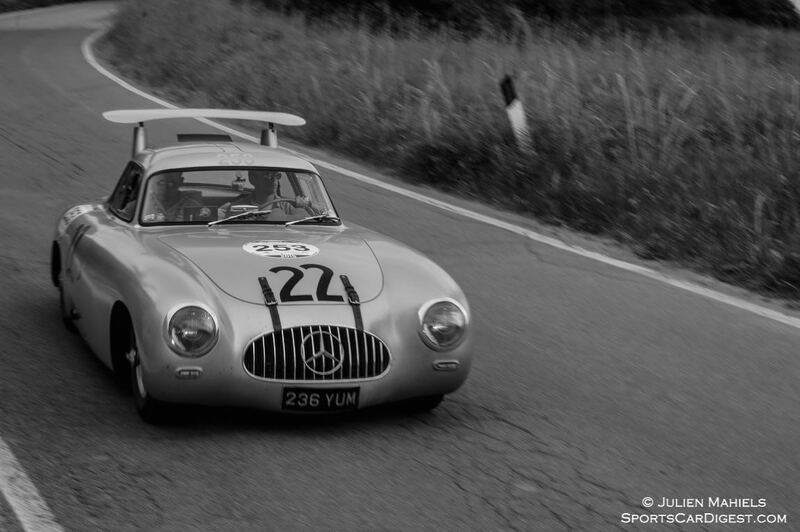 Mille Miglia will once again organise tests to be held in the Autodromo Nazionale di Monza (National Circuit of Monza), as this was appreciated by the teams and the many spectators. 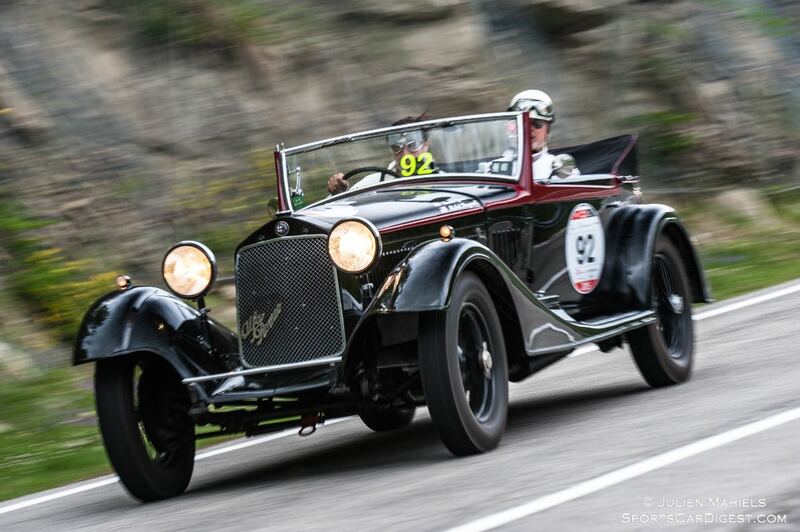 From this circuit, designed and founded in 1922 by Arturo Mercanti, the cars in the race will cross Bergamo and journey through Franciacorta, continuing in their promotion of the area. Unlike previous years, the participants will be served lunch shortly before their arrival, a few kilometres from Brescia: in Gussago. Everyone will be able to taste the local speciality, characteristic meat on the skewer “alla bresciana”. From 14h00 onwards, once again Viale Venezia will see the chequered flag fly on the Freccia Rossa (Red Arrow), as it did in 1927. 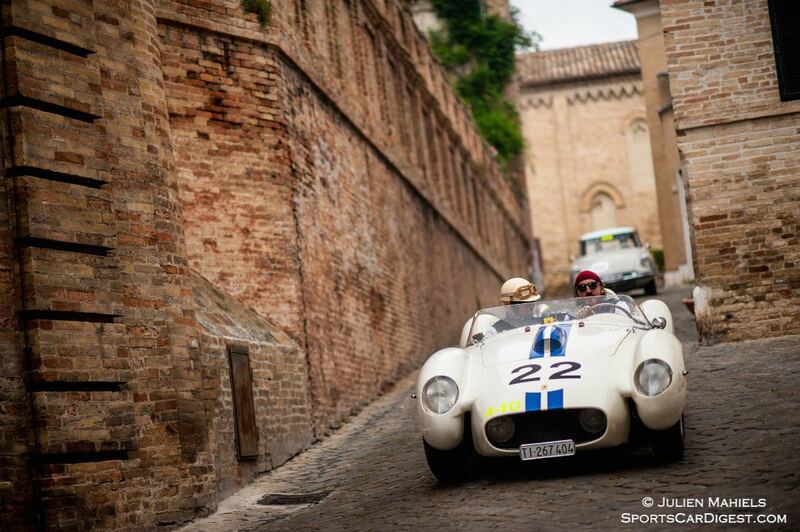 For additional information, visit Mille Miglia.